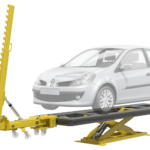 UnoLiner offers a variety of pulling tower tools to meet the demands for all kinds of pulling, car chassis and body-panel straightening and repair work. 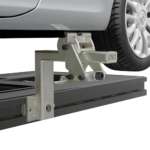 Products and accessories designed to fit on all UnoLiner car chassis straightening benches. UnoLiner products, easy and fast to use. 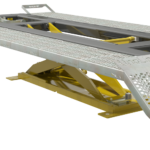 So also the UnoLiner P10 Pulling Tower with the unique 'One-Bolt Locking-system'. 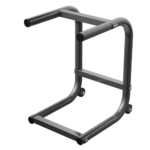 The UnoLiner P10 Draw Aligner is UnoLiners Pulling Tower work horse. 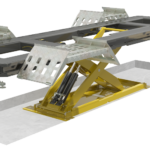 Equipped with the UnoLiner 10 ton hydraulic cylinder and driven by compressed the air operated hydraulic pump. The P10 can be equipped with the P20 Vector Pulling Set. 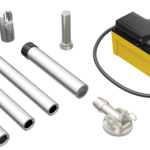 Also the D10 Down Pull Adapter, D15 Chain Guide, the P3030 Arm Extender and multiple UnoLiner Hydraulic cylinders. 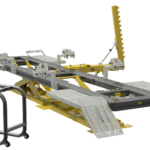 The P10 Draw Aligner is fast and easy to attach to any UnoLiner chassis straightening machine frame using UnoLiners unique One Bolt Locking system. 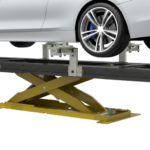 Attach the UnoLiner P10 Draw Aligner securely in place in any position on the chassis straightening bench machine frame.